“Orange” one of the world's leading telecommunications operators announced a service which will provide Facebook access via Unstructured Supplementary Service Data (USSD) in Africa. Now user can access Facebook and other Social Networks from their mobile phone without having Internet or other data services. This service will be cheap and convenient for a vast range of customer in Africa. 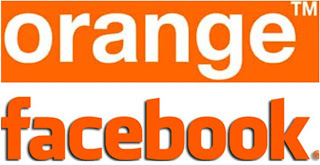 This service allows all Orange users to access Facebook without Internet connection, whether they are using a smartphone. If any user is using a basic mobile phone without Internet connection or data plan can use Facebook via USSD. This service doesn’t require any special application. User will need to type a specification code into the phone to open this service then they will need to enter the security code or PIN code to access. If you are using this service very first time in your mobile then you will have to provide your Facebook login details. Once you have connected to Facebook you can operate all the functions, like: Set status, search friend, accept friend request, like, unlike your friend’s updates. The service will be available one different pricing option like daily weekly or monthly 10-20 minutes per session. USSD is very simple and easy to use technology which is already familiar in Africa. The service has no barrier in terms of handset requirements, Orange suppose to have one million users of this service in first year. Orange got 350,000 users in first month when they launched USSD Facebook service in Egypt. Xavier Perret, Vice President of Strategic Partnerships at Orange, said it is our responsibility to provide such services on their mobile without having an Internet connection. USSD Facebook will make social network easy, now people can connect with their family and friends without having a smartphone or Internet connection.